Why is Skills for Care mandatory training courses required? Our skills for care mandatory training courses are a compulsory requirement for all health and social care support workers including care home staff, domiciliary care workers and those working with care agencies. Our Skills for Care mandatory training courses cover all the key legislation, current UK regulations and best practice recommendations. Who should complete Skills for Care mandatory training courses? These Skills for Care mandatory training courses should be completed by all staff, whether they work directly for the NHS or other service providers or locum/recruitment agency workers. What do the Skills for Care mandatory training courses cover? 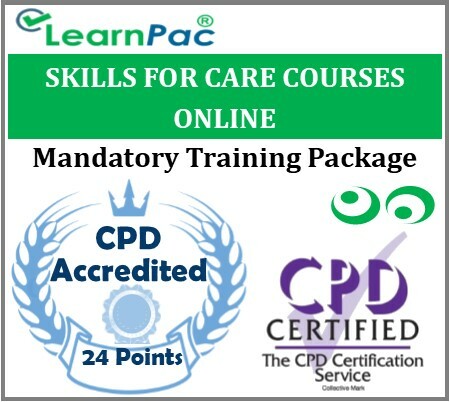 All the Skills for Care aligned mandatory training courses above meet the requirements set out in the Care Certificate. NHS Trusts and other healthcare providers now insist that all medical, nursing and healthcare staff should attend statutory and mandatory training that is aligned to the Skills for Health’s UK Core Skills Training Framework (CSTF) or Skills for Care mandatory training courses that are aligned to the Care Certificate. All our statutory and mandatory training content is fully mapped and aligned to Skills for Health’s UK Core Skills Training Framework. All doctors, nurses, aligned health professionals (AHPs) and healthcare assistants working in NHS Trusts through framework recruitment agencies and locum agencies are now required to complete Skills for Health CSTF aligned mandatory training. Non-framework agency workers can complete the standard statutory and mandatory training courses. Learners will be given access to all Skills for Care mandatory training courses. The online courses are fully aligned to the Care Certificate learning outcomes. Is the ‘all in one day’ mandatory training still valid? Yes, the ‘all in one-day mandatory training course’ is still valid but it is not aligned to the Skills for Health UK Core Skills Training Framework (CSTF). Many NHS Trusts and recruitment/locum agencies who supply nurses, doctors, AHPs and other healthcare staff to NHS hospitals and private sector insist that all staff should attend mandatory and statutory training that is aligned to Skills for Health’s UK CSTF. As such, we recommend Skills for Health CSTF aligned mandatory and statutory training for all agency workers and locum doctors and AHPs working through NHS frameworks, including Health Trust Europe (HTE), Crown Commercial Service (CCS) and the National Collaborative Framework for NHS providers. 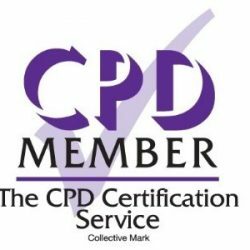 All our Skills for Care mandatory training resources are developed in line with universally accepted continuous professional development (CPD) standards and academic rigour. LearnPac Systems’ Skills for Care mandatory training courses meet all the CPD standards, in line with CPD Certification Service requirements. Mandatory training is a compulsory requirement that places responsibility on healthcare organisations and staff to work in a safe and efficient way to ensure the best outcomes for patients. Mandatory training enables medical, nursing and healthcare staff to be compliant with their statutory and mandatory training requirements. All healthcare professionals (including NHS and non-NHS employees) are required to attend mandatory training, regardless of whether they are full time or part time, bank staff or permanent staff. The majority of statutory and mandatory training courses are delivered as part of induction training, then renewed annually afterwards as part of annual mandatory training updates or annual refresher training. Why are Skills for Care mandatory training courses required? Mandatory training is a compulsory requirement for all health and social care staff, including all clinical NHS staff, non-clinical NHS staff, agency workers, bank staff (including part-time and full-time staff). Care Quality Commission (CQC) expects all NHS and private healthcare staff to attend mandatory training in line with recommendations from Skills for Health, Skills for Care, National Institute for health and Clinical Excellence (NICE), Resuscitation Council (UK) and other professional and regulatory bodies. Both employers (including nursing agencies, care agencies and locum medical agencies) and employees have a responsibility to ensure that the mandatory and statutory training standards are met. 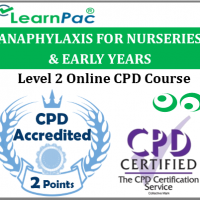 Why choose LearnPac Systems for your Skills for Care mandatory training courses? LearnPac Systems is the leading UK provider of Skills for Health UK CSTF aligned mandatory and statutory training. All our learning materials are fully aligned to the Skills for Health CSTF learning outcomes.